A relaxing, soothing treatment to relieve stress, tension and aching muscles. With a pressure to suit you, this treatment will leave you feeling restored and revived. Maximum tension relieving massage focusing on the deeper layers of muscle tissue and associated connective tissue. The aim of this massage is not to leave you feeling relaxed and soothed; it is to tackle particular physical and muscular problems. A nurturing treatment for the Mum-to-be, this massage uses a specially designed pregnancy cushion to allow you to relax in full comfort. Special massage techniques are used to help alleviate tension in the back, whilst also working wonders on any fluid retention. Please Note: This treatment can only be performed after your 12 week scan. A special blend of essential oils to suit the individuals needs, together with a mixture of lymphatic drainage and acupressure, gives a balancing, detoxifying and relaxing massage. Choose from our delicious range of scented candles then drift away during this warm oil massage sensation! 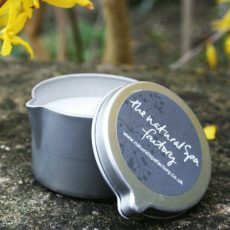 This amazing massage wax will warm your senses and soothe your soul while leaving your skin nourished and smelling divine. Includes remainder of your chosen candle to take home. 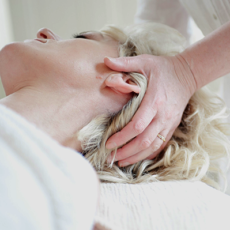 Traditional therapeutic pressure points in the head, neck, shoulders and face are massaged to maximise the flow of energy throughout the body. Ideal for those that suffer from headaches and tension. Book a massage now. Call (+44) 020 8788 5619 or press the button below.